Every year, hundreds of thousands of children drown in developing countries, especially in Asia. Child drowning in Cambodiaa country crisscrossed by rivers, canals, rice paddies, and other water sources, is estimated to 5 dead children per day (Drowning Mortality Rate, 2015, Cambodia:11.9 every 100.000 population, WHO), however due to the difficulties to collect data, the number can be much higher. Children, aged 1-4, make up nearly half of all child drownings in the country. Toddlers are more likely to wander off while their mothers are busy with household chores. Another key risk factor is that toddlers can drown in a bucket or any other small amount of unattended water. Only few children older than five can swim. The large majority cannot swim and young school aged children (5 to 9 years old), account for more than one out of three child drownings in Asia. In the target area, drowning was one of the leading cause of death for children of this age, and the majority of children older than 4 who drowned could not swim. Swimming becomes more critical for children at this age, who are more adventurous. Barriers or supervision alone will not stop them exploring water. 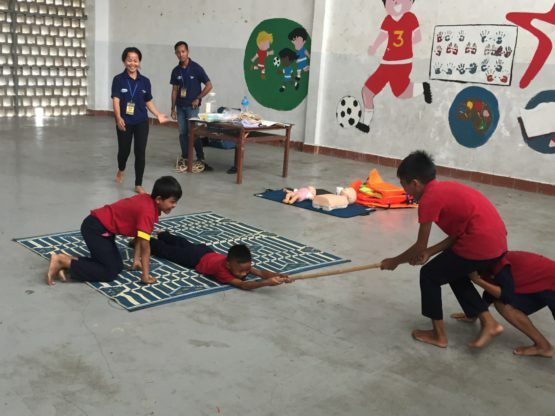 Reducing number of drowning in children (aged 1-12) in Cambodia. 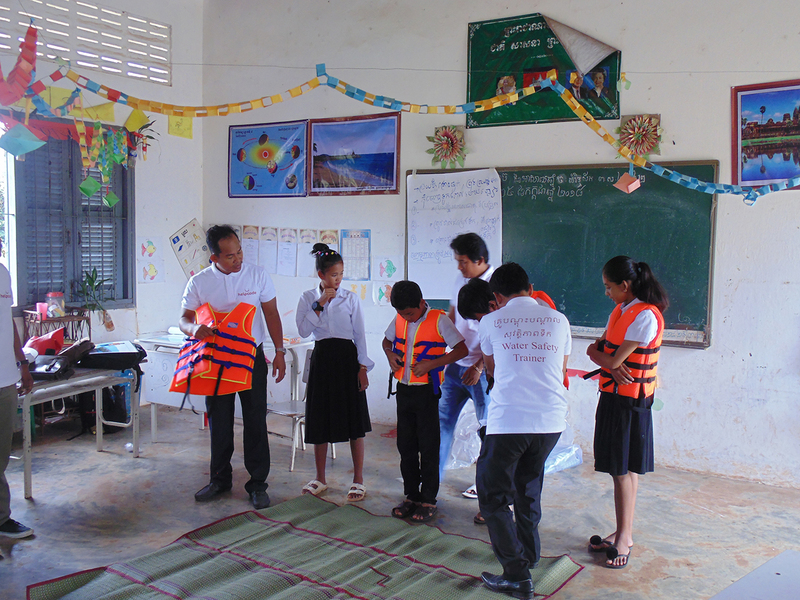 Setting up effective drowning awareness and prevention measures. Communities are aware of the drowning risk and take preventive actions. 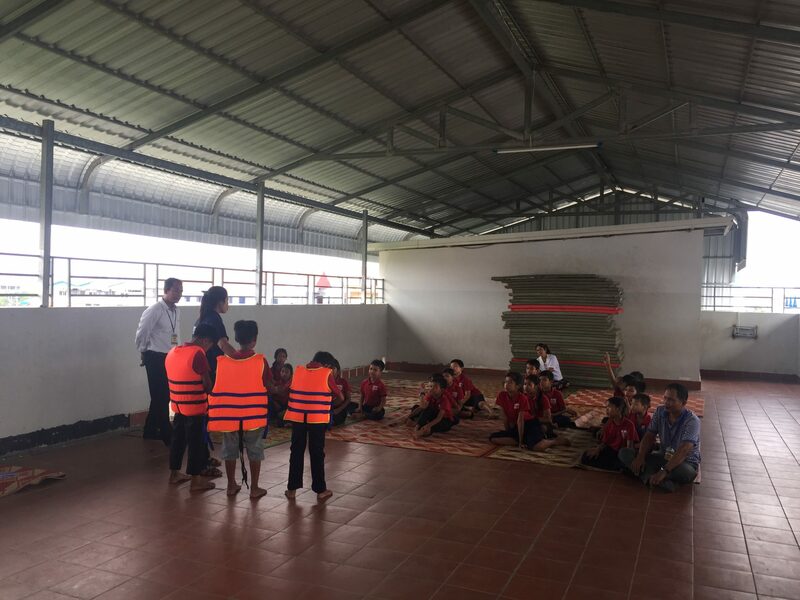 Children trained to survival swim and safety in water. 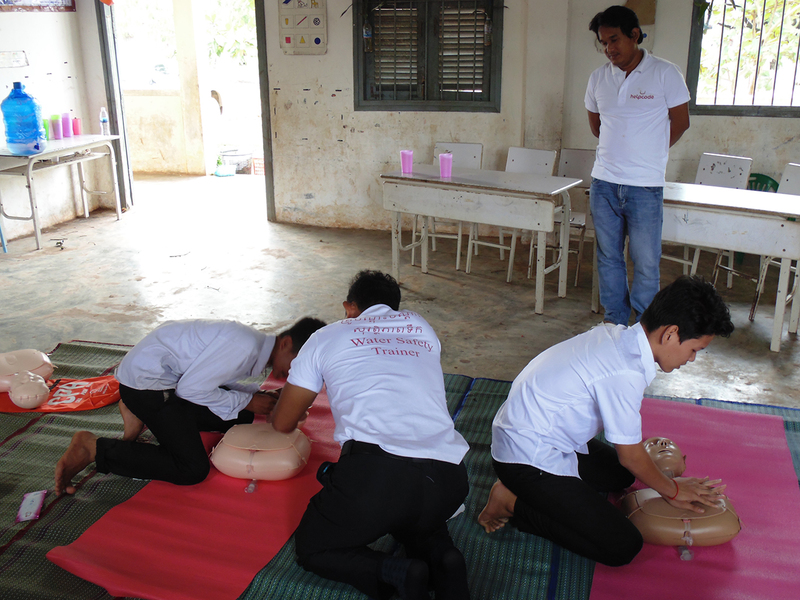 Parents and teachers have acquired first aid skills. Safety water trainers are equipped to perform swimming classes.